July 07 2009, Chinese movie queen Zhou Xun, Korean actress Jun Ji Hyun, French actress Anna Mouglalis, fashion designer Karl Lagerfeld, novelist Danielle Steel ... were invited to a presentation show for fall/winter 2009 fashion trends of some famous fashion brands. 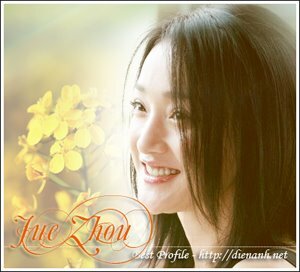 Zhou Xun would be in Paris for one week. Beside seeing some famous places, she would take photos for several magazines.